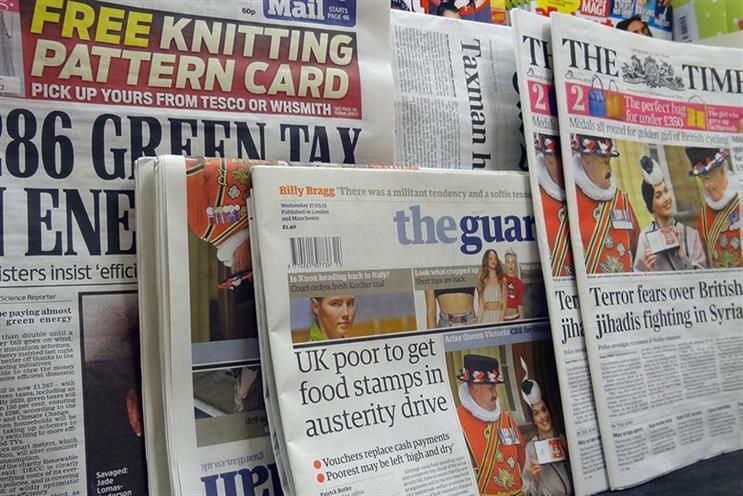 Telegraph Media Group has pulled out of the UK newspaper industry's efforts to set up a joint ad sales house in a potentially decisive blow to the initiative. Only two publishers, News UK and Guardian Media Group, remain involved in the plan, which is dubbed Project Arena, after previously being named Project Juno and then Project Rio. Daily Mail & General Trust and Trinity Mirror both withdrew earlier this year. Supporters insist they remain committed to the idea of pooling ad sales in a bid to shore up falling revenues and make it easier for advertisers to buy inventory and access reader data – at a time when Facebook and Google have been gobbling up market share. However, industry sources conceded the project looked like it was at a standstill and is likely to be "parked" for the time being. TMG’s withdrawal came almost immediately after Nick Hugh’s promotion to chief executive of the publisher last month. A spokesman for TMG said: "Having carried out a thorough review of the project, the TMG board has decided to withdraw from ongoing discussions. "We remain supportive of our partners and continue to work with them and other publishers on the key opportunities and challenges facing our industry." Campaign first revealed in May 2016 that national newspaper publishers were looking to pool ad sales despite their longstanding rivalries. The initiative was dubbed Project Juno at the time. The publishers began working on the proposal last summer in a bid to allay competition concerns. News UK, TMG and GMG pressed on this year and appointed McKinsey as advisers, despite other publishers pulling out. A spokesman for News UK, owner of The Sun and The Times, said: "We remain supportive of exploring new and innovative ways for the industry to work with clients and agencies." GMG said: "There is clear industry demand for news organisations to create bigger and smarter ways to work with advertisers and agencies. "We will continue to talk to other leading news providers, agencies and advertisers about how we can offer innovative advertising opportunities through high quality online environments." Some leading agency groups are said to be disappointed that TMG has pulled out as they have worked closely with the publishers. Group M forecasts national newsbrands' ad revenue will fall 11% this year to £835m. In its latest forecast for the ad market last month, the WPP buyer warned the ad sales initiative already looked like it was "in hibernation". The WPP media agency group said it still had "hope" that News UK, TMG and GMG "might yet find a use for it", adding: "If not full-blown joint sales, perhaps selective audience packaging, Other obvious potential resides in advertiser-friendly unwalled data pooling."